Scientists at UCL found that people who swapped smoking regular cigarettes for e-cigarettes or nicotine replacement therapy (NRT) for at least six months, had much lower levels of toxic and cancer causing substances in their body than people who continued to use conventional cigarettes. Ex-smokers who switched to e-cigarettes or NRT had significantly lower levels of toxic chemicals and carcinogen in their body compared to people who continued to smoke tobacco cigarettes. But, those who used e-cigarettes or NRT while continuing to smoke, did not show the same marked differences, highlighting that a complete switch is needed to reduce exposure to toxins. 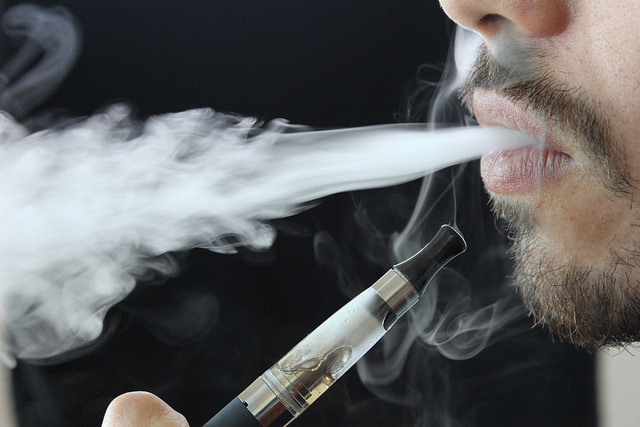 Dr Lion Shahab (UCL Epidemiology and Public Health), lead author of the publication, said: "Our study adds to existing evidence showing that e-cigarettes and NRT are far safer than smoking, and suggests that there is a very low risk associated with their long-term use. "We've shown that the levels of toxic chemicals in the body from e-cigarettes are considerably lower than suggested in previous studies using simulated experiments. This means some doubts about the safety of e-cigarettes may be wrong. "Our results also suggest that while e-cigarettes are not only safer, the amount of nicotine they provide is not noticeably different to conventional cigarettes. This can help people to stop smoking altogether by dealing with their cravings in a safer way." Alison Cox, Cancer Research UK's director of cancer prevention, said: "Around a third of tobacco-caused deaths are due to cancer, so we want to see many more of the UK's 10 million smokers break their addiction." "Understanding and communicating the benefits of nicotine replacements, such as e-cigarettes, is an important step towards reducing the number of tobacco-related deaths here in the UK."